A huge school of small bones approached and Amund and I celebrate the trips first double hookup. Of course, the fish didn't make it easy by constantly zigzagging and crossing our lines. 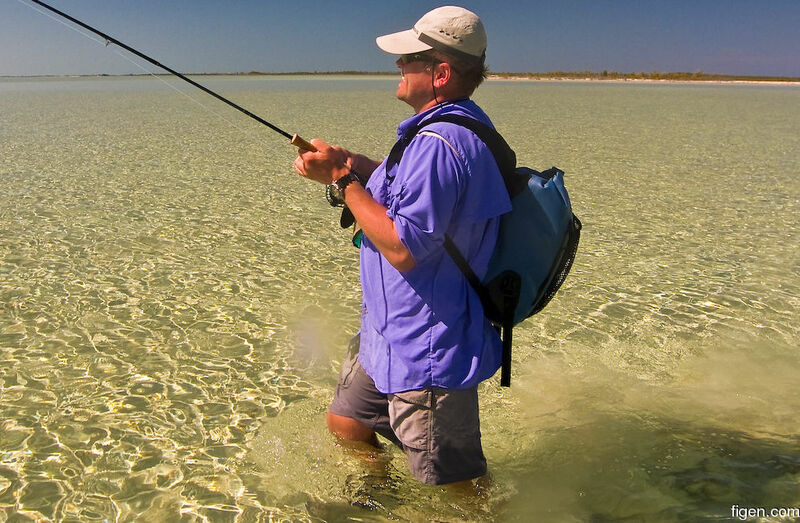 Amund's bonefish is putting up quite the fight!